Don’t you hate the feeling when you put your foot in your mouth? Now imagine if you did so on national television in front an audience numbering in the millions. Such was the misfortune Ellen DeGeneres faced during her daytime talk show on Wednesday when she introduced Jenna Dewan by her now-former (and only recently removed) married name: Jenna Dewan Tatum. Oopsie! For her part, the genuinely embarrassed host made it a point to both correct herself and personally apologize. “I have to say, before we go to break, I’m so sorry. I introduced you and it was such a habit, and I have to say the way that you and Channing are handling everything is beautiful for your daughter and the statements have been great. I apologize. I just have known both of you for so long, and I’m so used to saying…” DeGeneres trailed off. Still, we know how DeGeneres must have felt in that moment. It’s never comfortable to make those kinds of mistakes, particularly when your life’s work is wrapped up in celebrity news. 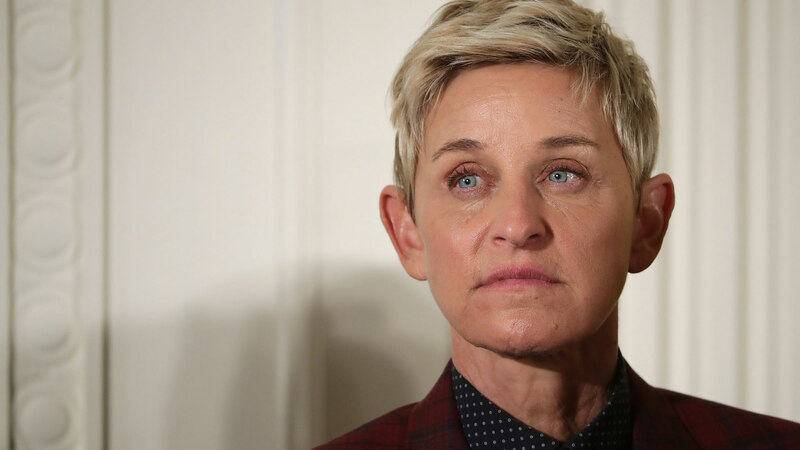 Beyond that, though, it’s obvious DeGeneres respects Dewan and didn’t want to bring up what could be a painful reminder of the end of her marriage. In DeGeneres’ defense, the surname slip-up could have happened to anyone. After all, it’s been less than a month since Dewan and Tatum announced their split, saddening fans of the longtime couple. However, DeGeneres is right that the pair has proven to be a shining example of how to exit a marriage with as much love as you entered into it. Not only was the joint statement of their separation filled with mutual admiration, but the couple — who shares daughter Everly, 5 — has also continued to support each other in the time since. When Dewan posted a photo on Instagram of herself in Danskin intimates for a sponsored post, her ex “liked” the image in a show of solidarity. In the rare moments they’ve addressed their marriage in interviews, they’ve spoken nothing but kind words about each other. If only all splits could be this genuinely amicable, right? So as far as DeGeneres’ awkward introduction goes, we don’t think the comedian has anything to worry about. Dewan doesn’t come across as the type who sweats the small stuff. Plus, between hanging with J.Lo on the set of their hot new show, World of Dance, accepting humanitarian awards and sweating it out at the gym, Dewan probably doesn’t have time to dwell on DeGeneres’ honest mistake.